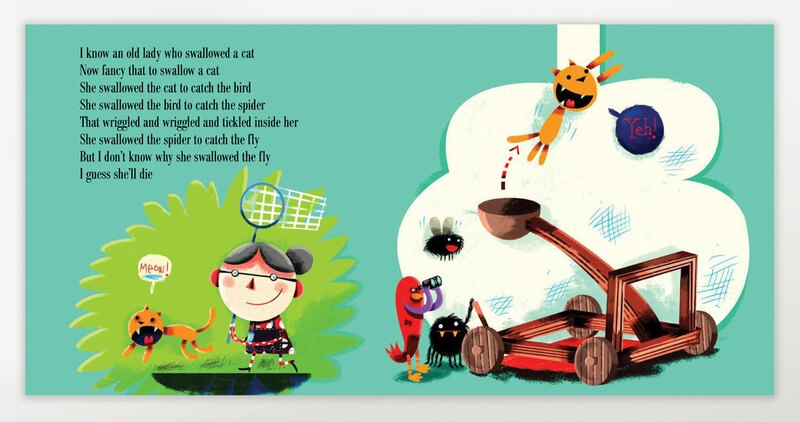 “I Know an Old Lady Who Swallowed a Fly”, for which singer-songwriter Alan Mills is best known, introduces us to a quirky old lady who swallows a heap of animals, from a dog, cat, bird, spider and that infamous little fly, only to meet an untimely demise. 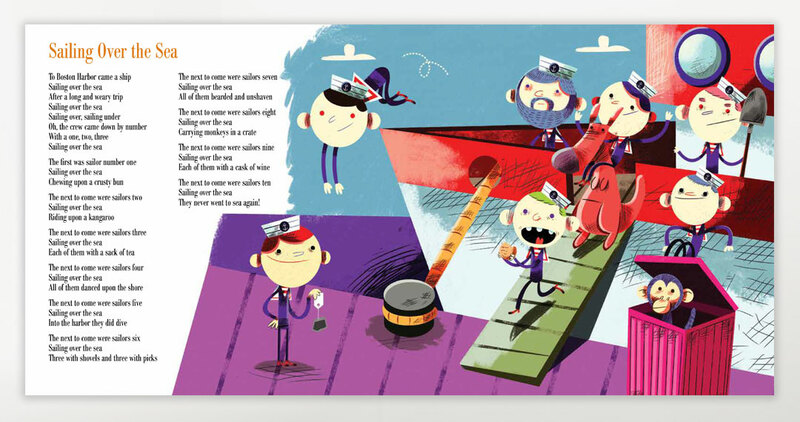 This classic tale is preceded by a potpourri of simple, singable songs often focusing on numbers and letters, with a contagious and danceable rhythm. 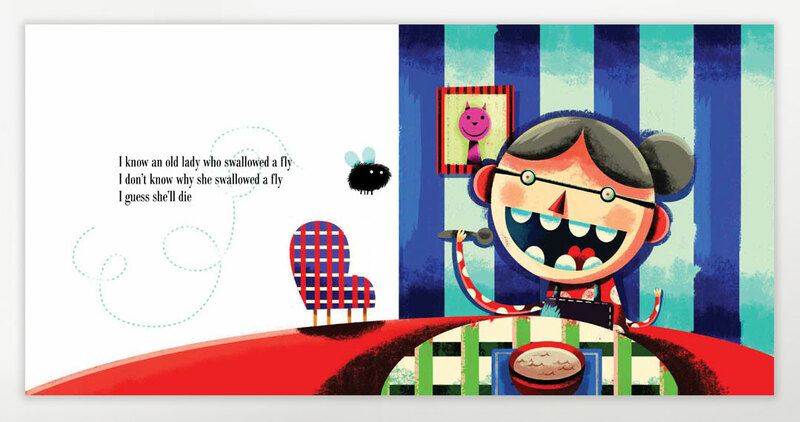 The brightly coloured illustrations of silly characters are a treat to behold. Alan Mills takes his place in history as a renowned Canadian folk artist, circa 1950-1960. He saw a successful career that included CBC radio shows, Folk Songs for Young Folk, The Song History of Canada and Songs de Chez Nous. He also went on to record 20 albums with Folkways Records. 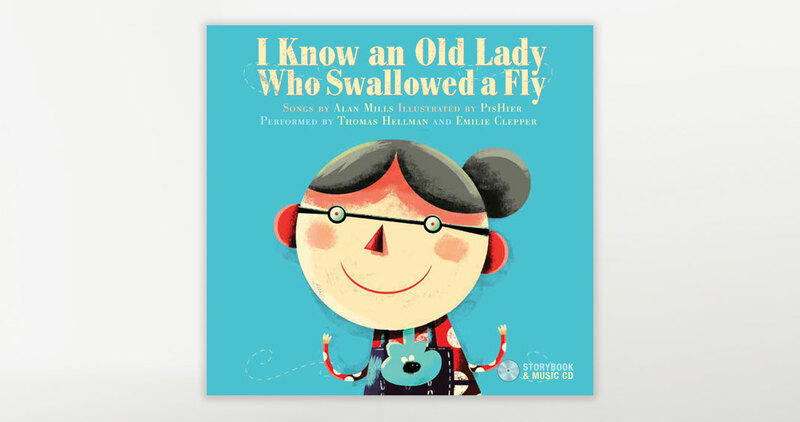 His best-known song is without a doubt the nursery rhyme “I Know an Old Lady Who Swallowed a Fly”, which has seen numerous recordings by distinguished artists such as Burl Ives, Pete Seeger and Peter, Paul and Mary. Artist, illustrator and author Pierre Girard (known professionally as PisHier) has been combining various art genres, such as comic strips, numerical pictures, painting, illustration and graphic design, over the past 10 years. He is one of the founding members of the popular Quebec City publication Fanzine Bidon and has illustrated a dozen children’s books.